In year 2002, CEO-UAB launched an online educative project partly aimed at university students and scholars and/ or people interested in Olympism and the Olympic Movement in general. 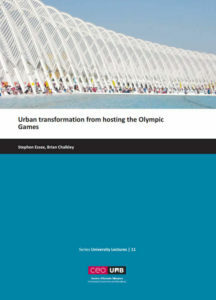 The project resulted in the creation of a series of basic texts and lectures about major themes of an Olympic interest. Texts are written by experts in the field and openly available on-line. The lessons are designed to be composed of a divulgative text, a related bibliography and resources about each theme.